If you have been searching for a pair of gloves that will give you the confidence and protection to tackle your pond, these are the gloves for you. 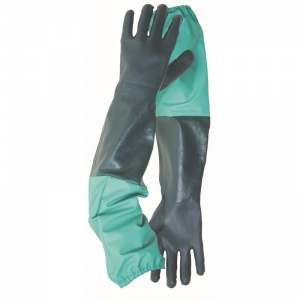 Briers have engineered a long glove with protective sleeve to enable you to dig deep to clear and clean your pond properly. The product code for these gloves is B0074. Through this listing, you can purchase the B0074 gloves in a pack, getting three pairs of gloves at a discounted price. Ideal for professional gardeners, this bundle allows businesses to save money on their essentials. 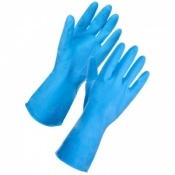 Glove flooding is the term that pond cleaners use to describe the nightmarish moment that a standard pair of normal length gloves fill with water, normally when you least expect it. We've all been there - in the middle of dredging your pond to clear the mess and mush that gathers in the murky depths, the icy cold water suddenly floods into your rubber gloves leaving you wondering why you bothered with gloves at all. Shocked and disappointed, you retreat to the warmth of your kitchen for a cup of tea. The pond will have to wait. The Briers Pond and Drain Gloves put an end to this all too familiar outcome. Simply pop these gloves with built in sleeve on and you can dredge your pond with ease. No more "glove flood" and no more icy cold fingers. That's why professional gardeners always plump for the Briers Pond and Drain Gloves. 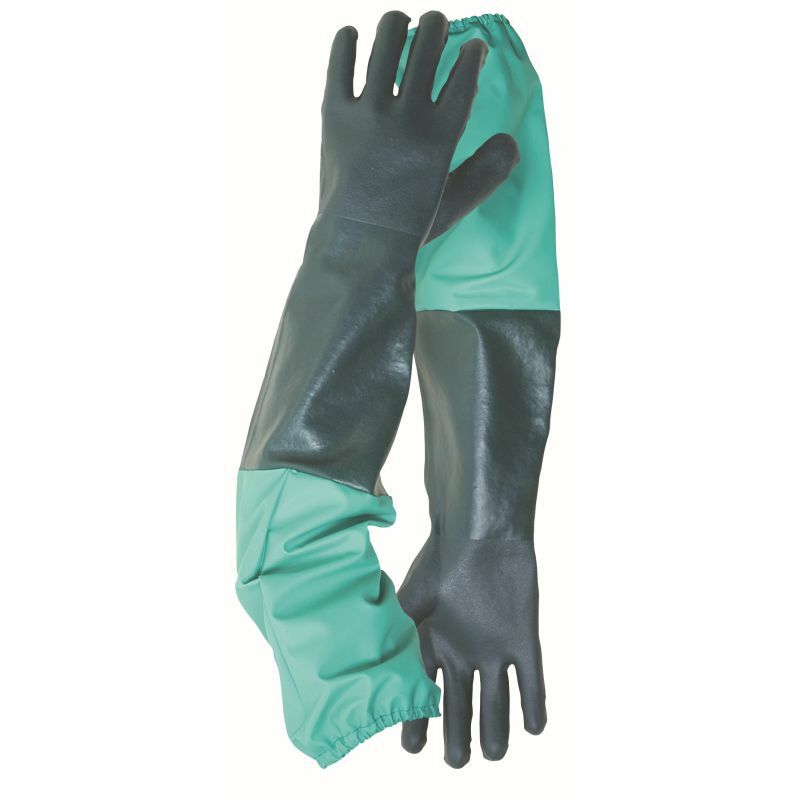 The Briers Pond and Drain Gloves are supplied in one size and have a length of 62cm, providing protection to the arms as well as the hands. This size of glove fits medium size 8 hands.